For those of you who workout in the morning or early afternoon I thought I would post my new favorite pre workout breakfast. This doesn’t have to be a breakfast meal and would work good anytime pre workout, but it is breakfast foods. First of all it is important to realize that prior to a workout you should be getting some carbohydrates and protein in your body whether you are trying to lose fat or build muscle. Depending on your goal will depend on the amount of grams/calories of each that you will want to eat of course. High amounts of fats shouldn’t be consumed directly before or after a workout. 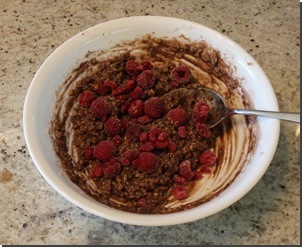 The following pre workout breakfast contains both healthy carbs and healthy proteins and is very quick and easy to make. Depending on your goals you can use 1/2 cup, 1 cup or even 1.5 cups of oatmeal. Add the amount of water that it says on the label and put it in the microwave for about 90 seconds (it give you a time on the label). Once that is done you mix in the scoop of protein. If the oatmeal is dry you can add some warm water to make the protein mix in better. After that is all mixed together throw in some frozen raspberries for taste. I personally like the raspberries frozen, but you can also go with normal raspberries thrown in. As you can see this pre workout meal is about 500 calories and a good mixture of healthy carbohydrates and proteins. It sits very well in my stomach which is important for me when I’m training, and it tastes great so that’s an added bonus. Depending on your goals and your other meals during the day you can increase or decrease serving sizes. I usually have this about 1.5 or 2 hours after I wake up (after drinking a bunch of water and my Greens supplement), and then I wait about an hour or so before I workout. This ends up being my only meal within about 4-5 hours of waking up, so the 500 calories is perfect for my goal of lean gains. 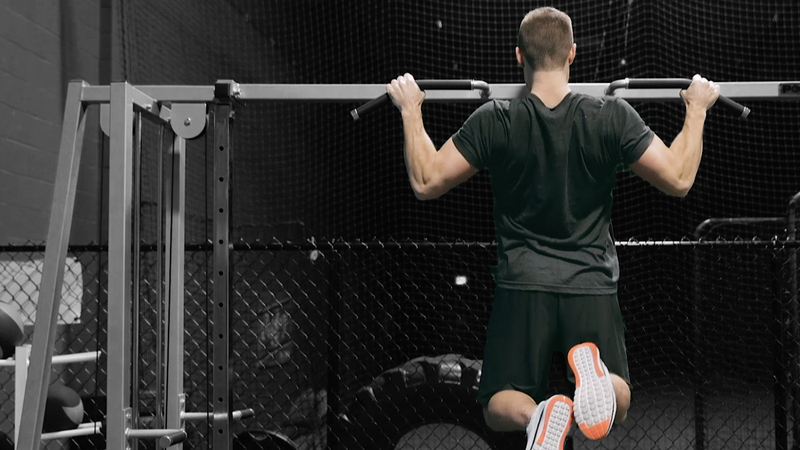 Try it out before your workout and let me know how you like it.